The redesigned 2016 Honda Civic packs quite the punch. For the new model year, it features a fresh exterior design, new technologies and a new turbocharged four-cylinder engine that delivers exceptional performance. Aside from the standard sedan, buyers can also choose to go with the coupe or four-door hatchback variant, which will arrive later this year. Additionally, the Civic Si model will make a return and a new Civic Type R model will debut, offering first-class power. To learn more about the latest Honda Civic and its vast offerings, read our 2016 Honda Civic review below. While many Civic models make a return to the lineup this year, two models have been put out to pasture. The Civic Hybrid and Natural Gas models are no longer in the roster, which helped make room for the new Civic Type R and four-door hatchback model offered this year. Aside from these changes in the lineup, the redesigned Civic boasts new styling for 2016 that is both edgy and sporty in nature. The car's front- and rear-ends appear futuristic, a theme that is further carried out within the cabin. The interior features a premium look and is equipped with a revised dashboard that now comes with a touchscreen display, bringing the 2016 Honda Civic in Arlington into the modern age. 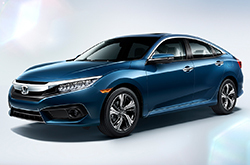 For the new model year, all LX and EX Honda Civic models will come with a 2.0L four-cylinder, delivering 158 horsepower and 138 lb.-ft. of torque. On the LX, it can be matched with either a CVT or six-speed manual transmission, while the EX comes solely with a CVT. The EX-T and EX-L trims of the 2016 Honda Civic in Arlington are equipped with the new turbocharged 1.5L four-cylinder engine, generating 174 horsepower and 162 lb.-ft. of torque. The powerplant is paired with a CVT and is able to produce an EPA-estimated 35 mpg combined, 31 city and 42 highway. 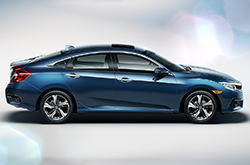 For more details about the new Civic model, continue browsing our 2016 Honda Civic review below. We're more than confident that the Civic is perfectly fitted for you. 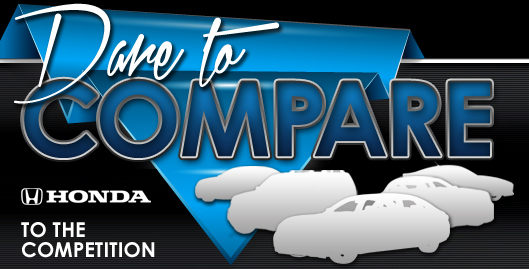 That's why we double dog dare you to compare Honda's most current model against the 2016 Ford Focus, Chevrolet Cruze, Hyundai Elantra and the Kia Forte. The Civic's modern cabin features and bargain MSRP are just a few of the outstanding characteristics that shoppers will love. Hundreds of Honda drivers choose it because it's a fantastic value; just compare its price to the vehicles in its segment. Browse our facts list to learn more about the Civic - bullets below this paragraph. For reviews of the 2016 Honda Civic and earlier models, Vandergriff Honda is your trusted resource. Good reviews are hard to find ; but as the top-rated Honda retailer in we've put it all in one location for you. Once you start in on reading, you'll find that this article is crammed with vehicle specs in a layout that's easy to read. Use it to get the info you need to make an informed purchasing decision. 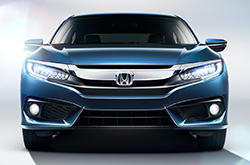 Please visit our Honda review and compare library if you feel the Civic is not suited for you; there you&ll learn about Vandergriff Honda's entire lineup.